Seasonal Teas are a great way to celebrate the flavors and aromas of the season. 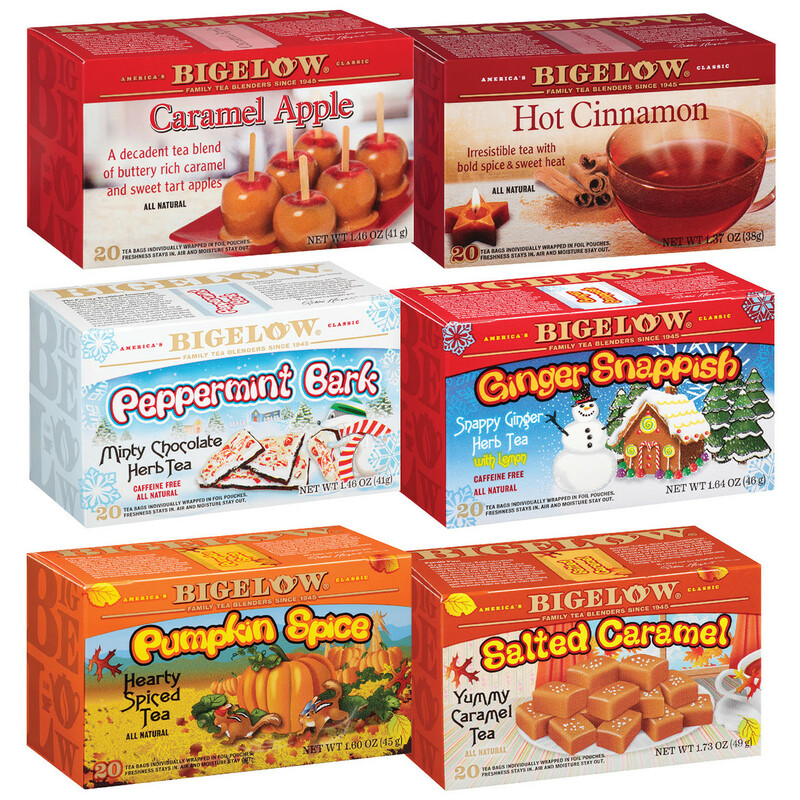 What makes Bigelow’s seasonal teas so special is that each one blends the holidays’ most indulgent flavors into an exceptional cup of holiday cheer -- without the calories! This case of 6 boxes includes 1 box each of: Caramel Apple, Hot Cinnamon, Peppermint Bark, Ginger Snappish, Pumpkin Spice and Salted Caramel Teas. Total of 120 tea bags.